We need more people in the photo directory!!! Due to the low turnout from the first set of photo sessions, we are offering more photo sessions. We need you to sign up to be in the directory. We have partnered with Lifetouch Portraits to create a new photo directory. The signup is available online at https://booknow.appointment-plus.com/yclxe0ge/. The dates of the portrait sessions will be Monday, February 18 and Tuesday, February 19. These sessions will take place in the chapel. 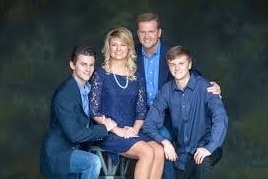 Each family/person that sits for a photo will receive a free 8×10 from Lifetouch. If you have any questions or would like to help with this fun exciting event, please contact Jill Cole at jillco0405@gmail.com. *There were 254 family pictures in the last photo directory, which was issued in 2008.